Episode 47, Moon Returns: The Mysterious Aliens Appear, is the start of something new. 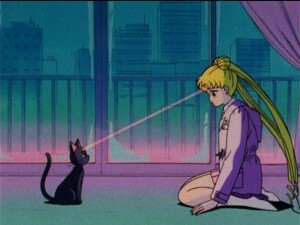 Sailor Moon is just a normal girl again, with Luna and Artemis alone remembering the events of all that happened. Two aliens arrive on Earth, along with a big tree! Ail and An, joke names for “alien”, are the new villains who use Cardians, monsters born from cards, to drain human energy. Their relationship is strong at first as Ail and An speak kindly of their love for each other, but this won’t last long. They disguise themselves as teenagers and enrol in the local school because… well I’m not sure why they bother to do this. It would be easy enough to just hide in their apartment and go out at night draining energy. There doesn’t seem to be much of an end game to integrating in to the local culture. 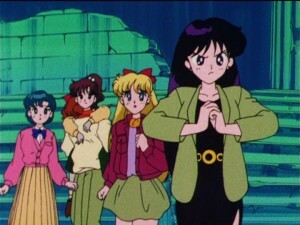 As luck would have it they go to the same school as a bunch of superheroes, Usagi, Ami and Makoto’s school. Ail poses as Seijuurou and An poses as Natsumi, because An isn’t really a good Japanese name. When a monster attacks Naru, who is a magnet for monsters, Usagi comes to her defence. Luna has no choice but to restore her memories! This seems shocking as Usagi has memories of everyone including herself dying a horrible death. She transforms into Sailor Moon and saves the day. New episodes of Viz’s dub of Sailor Moon will be available to stream on Hulu and Neon Alley starting Friday April 10th but only remaining online until June 7th. This is noted on the Neon Alley Schedule and will be celebrated with the 3rd Moonlight Party. The dubbed episodes released will be 47 to 60. This will include the first story arc featuring Ail, An and the Makaiju up to the first episode featuring Chibiusa and the Black Moon Clan. As we have previously mentioned Chibiusa will be voiced by Sandy Fox. Watch a preview clip of Chibiusa’s arrival below. 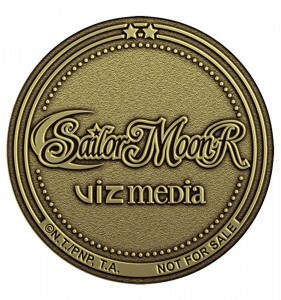 The Moonlight Parties are online streams on Viz’s YouTube Channel which coincide with the new release of Sailor Moon episodes. The event will be hosted by Charlene Ingram, Viz Media’s Senior Marketing Manager of Animation. The episodes will not be streamed on this event but will be simultaneously available on Hulu and Neon Alley. 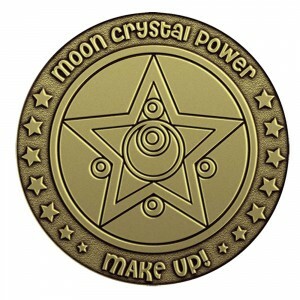 Moonlight Party III will start at 6pm Pacific Time, 9pm Eastern Time. Details can be found in this Facebook event. 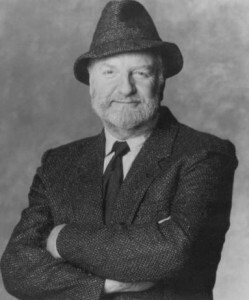 Four episodes will be featured throughout the Moonlight Party. This will include episodes 47, 48, 54 and 60. Episodes 47 and 48 will introduce us to Ail and An, the aliens, as Usagi and her friends regain their memories and become Sailor Guardians again. Episode 54, The School Festival Is for Me?! Queen Rei’s Song, has Rei performing some songs for a festival. Episode 60, Angel or Devil? 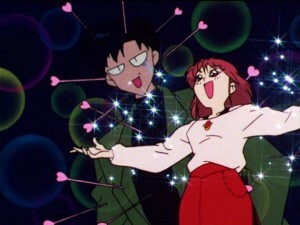 the Mysterious Girl from the Sky, introduces us to Chibiusa and the Black Moon Clan. 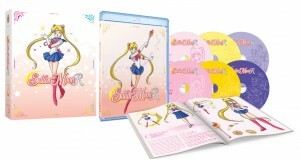 These episodes will also be available on DVD and Blu-Ray starting on July 14th with Sailor Moon R: Season 2 Part 1 which will include episodes 47 to 68. This will be the first time Sailor Moon episode 67, The Beach the Island and a Vacation: The Guardians’ Break, will be released on home video in North America after being skipped in ADV’s terrible subbed only release on DVD from back in the day. This set is currently only available for pre-order from The Right Stuf. It comes with a 96 page colour booklet and collectible coin. Watch the trailer for the Blu-Ray and DVD release below. The first two episodes of Sailor Moon R are now available on Hulu and Neon Alley. Two new episodes are added every week and now that we’ve worked through the first season Viz is starting to post episodes from Sailor Moon R. For the first 13 episodes of the series, including these two, we deal with what fans call the Makaiju arc as the enemies are Ail and An, aliens who steal human energy to feed their tree the Makaiju. 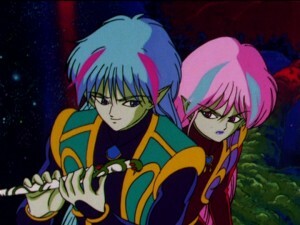 Chibiusa and the Black Moon Clan will not be showing up until episode 60. Until then is this short “filler” story arc which was not in the manga which fans have mixed feelings about. I personally loved this story line and am not adverse to parts of the anime that aren’t in the manga. From a technical point of view seeing Sailor Moon R in HD is a treat. 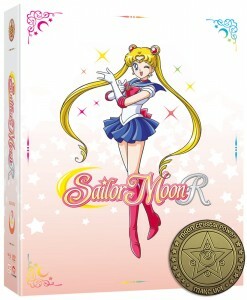 The R2 Japanese DVDs were progressive scan for the first season but beginning with Sailor Moon R the episodes were interlaced, as they had been in their original broadcast. This was not an issue back in the 90s when everyone watched Sailor Moon on their CRT TVs, but in the age of HDTVs and watching things on computer screens it’s certainly nice to see a show in progressive scan. Ultimately this show doesn’t look like newer shows animated in HD, it’s still an old master from the 90s with some processing done to it to make it look as good as it can. That said I still feel like the quality looks better on the Japanese DVDs than the Hulu feed, interlacing issues aside. Episode 48, For Love and for Justice: Sailor Guardians Once Again, deals with the rest of the Sailor Guardians not having their memories. Usagi is Sailor Moon again but can she fight the Cardians on her own? Auditions for a movie are a convenient excuse to get Naru, the monster magnet, as well as Ami, Rei, Makoto and Minako in a room together. A monster comes by and so Luna gives all the girls their memories back as well! Poor Naru. At least the first time around Usagi’s abandoning of her friend was gradual as the rest of the Sailor Guardians appeared one by one. This time around they all show up at once and she’s dropped like a bad habit. 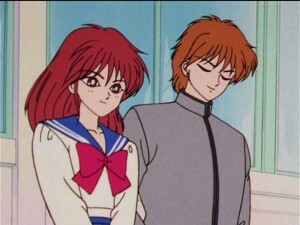 The real conflict doesn’t come from any monsters at all, but from Natsumi and Seijuurou’s interfering with Usagi and Mamoru’s relationship! Mamoru doesn’t get his memory back in this episode. In fact he won’t be getting it for a while. Natsumi is instantly infatuated with him, wanting to make him hers. 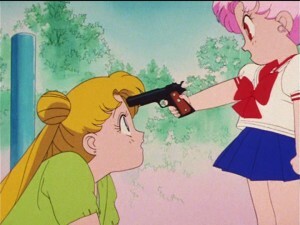 What is Usagi to do to stop her? She has no relationship with Mamoru to fall back on and is unable to convince him to be with her without all those past memories to help. 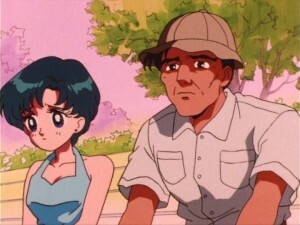 Let’s not forget that Mamoru was in quite a happy relationship with Rei before that pesky destiny put a stop to it. Beyond that, Seijuurou is into Usagi, trying to win her over. This naturally creates some friction between Ail and An who’s jealously only pushes them more towards the humans they are falling for. Also check out Hulu’s new banner which they’ve added for Sailor Moon R. It would have been nice to see Chibiusa or some other new characters on here but since there are no new Sailor Guardians in this season, except for a very brief appearance by Sailor Pluto, we will have to contend with this.